The entire top of these cages is a swinging door for placing animals in and out of the cage. 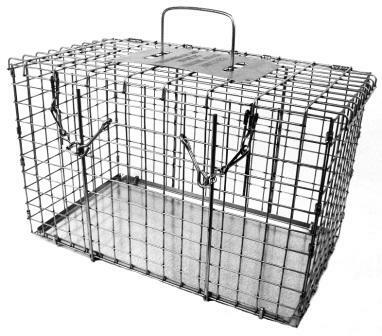 303 Model 303 is a top opening cage for raccons, cats and similar size animals. The entire top of this cage is a swinging door for placing animals in and out of the cage.